If you are an RC truck enthusiast, then you know that these trucks are far from being a kid’s toy. In fact, RC trucks should be taken seriously, as they are detailed and scaled-down models of actual trucks! Now, you may not know this, but there are numerous different activities you can engage in with these trucks, besides driving them around a track. 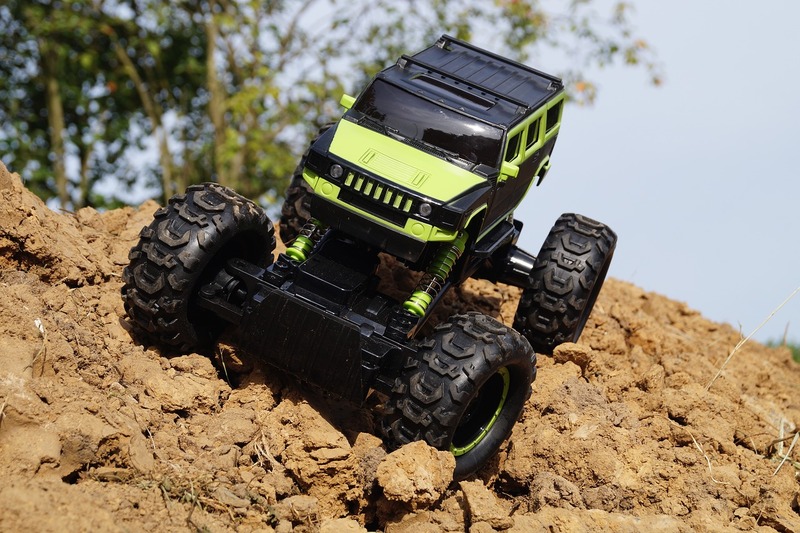 If you’re interested in finding out what activities you can do with your remote-controlled vehicle, then this article is for you! Step 1: First, you need to find a flat spot in your backyard. Make sure there are no weeds or trees in the way. Also, if there are any rocks, clear them out as well. Step 2: Map out the course. If you have a smaller backyard, you can make a smaller course. Step 3: Use some old drainage pipes to mark the twists and turns of your course. If you don’t have any, you can use any other long, bendable material. Step 4: Add sand to the course, and smooth out the surface. And that’s it! Now you have your very own RC truck racing course. Why not set up a course where you can compete with your friends to see who can perform the best stunts? First, decide which stunts you will all be performing. Once you’ve decided, you will need to set up the ramps and boundary markers. You will also need a tape measure, as well as a timer for some of the stunts. Step 1: Cut out several slips of paper, and write down all the stunts you’ve selected. These stunts can include wheelies, jumps, driving backward, flips, etc. Put all the paper slips into a bowl. Step 2: Determine how many slips of paper each competitor should draw. Step 3: Determine how many rounds there will be. Step 4: Now all you need to do is decide what scoring method you will be using. The simplest method is to award 1 point for each successful stunt, and 0 points for each failed stunt. Also, if more than two players are competing, you can award the winner of each round some bonus points. At first, mudding may sound like something only a five-year-old might enjoy. However, mudding is way more than just a kid’s sport. The most important thing about mudding is to find an RC truck that has waterproof electronics. For this, the best truck is the Traxxas Slash. Since it has a waterproof housing, you can easily run it through thick mud. Step 1: Find a place to set up your bowling alley. You can use a paved surface, or you can set it up on the grass. Step 2: Mark the lane. You can use a long piece of rope or string, as well as pebbles, or even spray paint (if you’re doing this in your own backyard). Be careful to make the lane long and wide enough. If you’re playing with friends, it’s a good idea to make two or more lanes. Step 3: Find some bowling pins. Not real ones, though. You should use plastic pins. If you don’t have any, you can use plastic soda bottles or tin cans if you like. A good idea is to pour a bit of sand in them, just to make sure they don’t fall over every time the wind blows. Now, set them up. Step 4: To score points, you need to drive your RC truck in a straight line down the lane, and knock down as many pins as you can. However, you can’t turn around after you’ve gone through the pins. You only score points for the pins you manage to knock down in the first run. Furthermore, if your truck tires go outside the marked lane, then that’s considered a gutter ball. You can use the same point system you would use in a real bowling tournament, or you can make up one of your own. Now, this is a fun new sport! You can use a soccer ball, beach ball, or any ball that’s not too heavy. Also, cardboard boxes are perfect to use for goals. The rules are the same as those are in the real game, except that you need to get the ball into the goal using your RC truck. Create teams, and you’ll have a blast! All in all, you can do a lot of different activities with a remote-controlled truck. You just have to choose the right RC truck for that specific activity, like top choices found on 10TrailTrucks and you’re good to go!